Helps to secure longer life and continuous efficiency for hearing aids. Moisture is the enemy of all hearing aids. Dampness, humidity and body moisture reduce their sensitivity, shorten battery life and causes corrosion. Where moisture conditions are excessive, the sensitive microphone and receiver may even become inoperable. 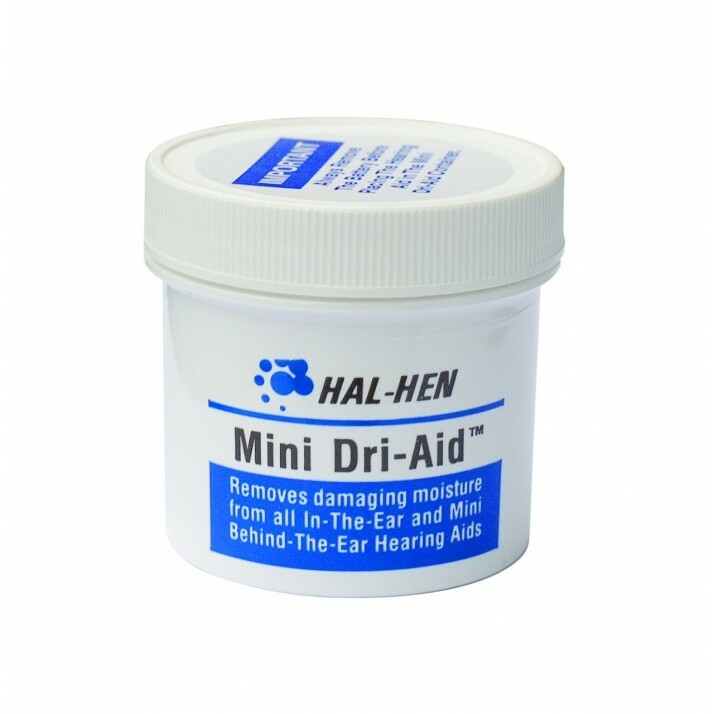 The Hal Hen Dri Aid Kit and the Hal Hen Mini Dri Aid effectively remove daily accumulation of moisture in hearing aids, earmolds and tubing. Hal Hen Dri Aid works as the user sleeps. Before retiring for the evening, place hearing aid inside jar on top of the foam pad and close cover securely. Hal Hen Dri Aid starts working immediately to remove harmful moisture. Remove the next day when ready to use. Hal Hen Mini Dri Aid helps prevent damage due to excessive moisture. 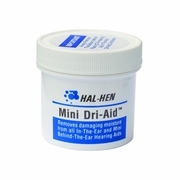 The drying agent used in Hal Hen Mini Dri Aid can be rejuvenated in a standard oven. The special indicator tells you when. Save 20% when you buy an entire case for $95.99. There are 12 kits per case. The price of each kit will be $8. That's a savings of $2/kit!! !